Have you lost some data recently or do you just have an interest in recovering files?. 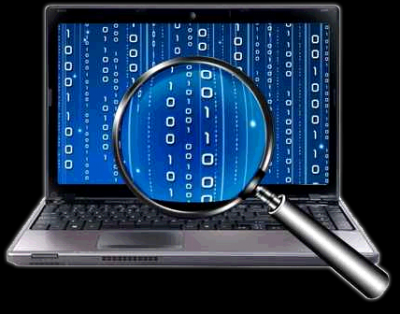 Here is a list of some free software to help you pursue your interest in forensics. P2 eXplorer is a forensic image mounting tool designed to help investigators manage and examine the evidence. With P2 eXplorer, you can mount forensic images as read-only local logical and physical disks. Once mounted, you can explore the contents of the image using Windows Explorer or you can load it into your forensic analysis tool. DFF (Digital Forensics Framework) is a free and Open Source computer forensics software built on top of a dedicated Application Programming Interface (API). It can be used both by professional and non-expert people in order to quickly and easily collect, preserve and reveal digital evidence without compromising systems and data. LastActivityView is a tool for Windows operating system that collects information from various sources on a running system and displays a log of actions made by the user and events occurred on this computer. The activity displayed by LastActivityView includes: Running .exe file, Opening open/save dialog-box, Opening file/folder from Explorer or other software, software installation, system shutdown/start, application or system crash, network connection/disconnection and more. Computer forensics tool that scans a disk image, a file, or a directory of files and extracts useful information without parsing the file system or file system structures. The results can be easily inspected, parsed, or processed with automated tools. Autopsy and the Sleuth Kit are open source digital investigation tools (aka digital forensic tools) that run on Windows, Linux, OS X, and other Unix systems. They can be used to analyze disk images and perform in-depth analysis of file systems (such as NTFS, FAT, HFS+, Ext3, and UFS) and several volume system types.